The days of the traditionalists, conservatives and conformists are not number. Not by a long shot. But more and more couples are doing away with traditions in favor of celebrating their own quirks and giving their own unique love story the personal touch it deserves. 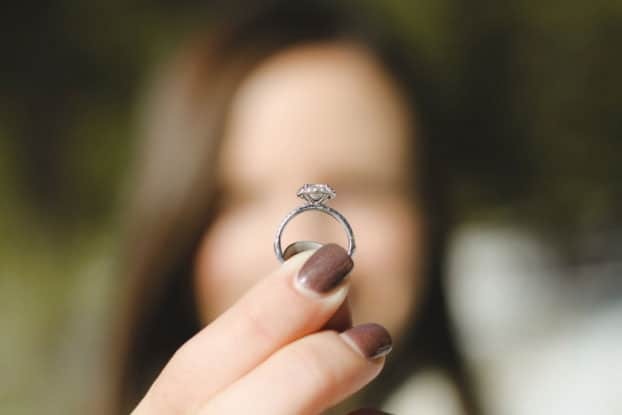 Gemstone rings instead of diamonds, bridesmaids dressed in black, guest booths and not guest books; all of it veers off the beaten track, and none more so than the trend of her proposing to him. More and more women are dropping onto one knee and popping the question to their fella, enjoying the fact this modern move has far fewer traditions to follow, meaning you can do things your own way, without fear of doing it wrong. That doesn’t mean it should be taken lightly, though. Tradition says the man should ask the girl’s father for permission so, if you are going to flip convention on its head, why not do it with poetic class and ask his mother for her approval? We live in a world where the equality gap is closing, which is why we urge to ask the family matriarch. For a guy, convention says they need to spend three-plus month’s salary on a diamond. But we’re not doing convention here, which mean you can do what you want. You could go to Love & Lavender to get some inspiration for unique men’s engagement bands, you could open a box that houses a gorgeous pair of cufflinks or, best of all, you could gift them a classic watch, which would be treated with the same love and care as a ring – worn every day with pride. Most women who get down on one knee do so because they are tired of waiting for their man to propose which, without a shadow of a doubt, is the wrong reason to be doing it. It will leave you wondering whether he would have ever proposed and that can plague even the most peaceful of relationships. Instead, you should propose because you want to spend the rest of your life with the man next to you. It is as simple as that. We keep using the phrase ‘get down on one knee’ but we’re using it more as a turn of phrase. Like we said at the beginning, one of your luxuries is the fact there are no rules, just gut instincts, love and emotion. If you want to drop to one knee – even if just for dramatic effect / a laugh (delete accordingly) – then do it. If that seems way too leftfield and weird, then don’t. Use any one of the other million gestures out there. The proposal is your oyster. Say what you want, do what you want; just be the person he fell in love with. It’s as simple as that.